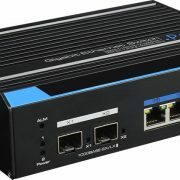 Zyxel Communications announced NebulaFlex to manage the wireless APs that support both cloud-managed and standalone modes. According to the Zyxel, while deploying the network, businesses struggling with choosing what kind of it should be, cloud or on-premise. To take out them from such chaos situation the Zyxel introduces an access points management platform called Zyxel NebulaFlex (website). It currently supports three Zyxel wireless access points. NebulaFlex frees traditional standalone APs to be managed in two modes – either cloud-managed or on-premises, giving businesses true flexibility in deployment while reducing extra hardware and software costs. A choice between cloud or on-premises – why not both in NebulaFlex? On-premises networks those have small sized area and have few APs can be managed standalone access points perfectly in a straightforward manner to provide sufficient WiFi coverage. 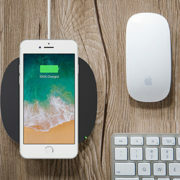 But on other hand either it is small or larger WiFi networks the Cloud-managed access points can perform better because of its features such as easy to install, configure and centrally managee anytime and anywhere. The simplicity, limitless scalability, and feature-rich management have been luring businesses into the cloud. Zyxel now provides hybrid access points that allow users to flexibly switch between the cloud-managed and standalone modes that best-fit their deployment needs. Users will be able to move to the cloud at any time they see fit, without needing to replace existing network investments or purchase additional hardware controllers or software. For those who already owned the selected Zyxel APs, it only takes a free firmware upgrade to enable NebulaFlex on the devices. Zyxel Nebula is a 100% cloud-based networking and management solution which centrally and remotely manages all Nebula wired, wireless and security devices from a single pane of glass – the Nebula Control Center (NCC). Without any additional costs, users who owned the hybrid access points will be able to reap the benefits of Zyxel Nebula Cloud, including 24/7 access to the Nebula dashboard, device/client monitoring and event log from anywhere in the world, and more. There’s also the option to upgrade to Nebula Professional Pack license for granular, enterprise-class features. 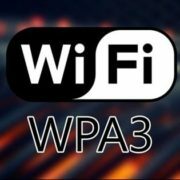 NebulaFlex is currently supported in Zyxel wireless access points NWA1123-AC HD, NWA1123-AC PRO and NWA1123-ACv2 with firmware version 5.20 or above. A limited offer of 3-month Nebula Professional Pack license will be provided free of charge for users registering for Nebula Cloud Management via NebulaFlex before April 30, 2018. 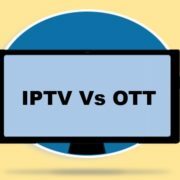 What is the difference between OTT and IPTV?